Enjoy the read and have a great evening! This entry was posted on May 19, 2011 by Contrastique. 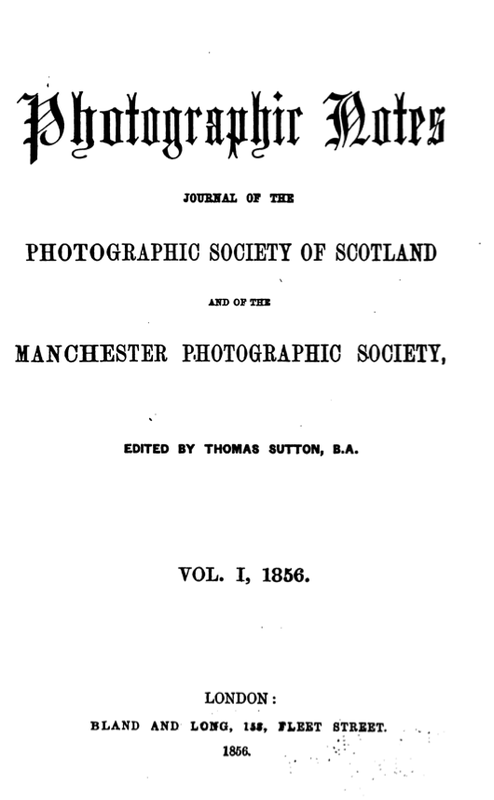 It was filed under Books, Wet Plate Collodion-Process & Chemistry and was tagged with 1856, black art, literature, wet plate collodion. Thank you for the article reprint. I find it especially interesting that the plate is put back into the silver nitrate bath before developing in order to have more free silver nitrate available, and silver added during the developing. Also, a cyanide bath is used to fix, but differently than using a dipping tank.